America's 16th President, Abraham Lincoln by Carole Marsh. 28 Pages. He Let His Whiskers Grow. 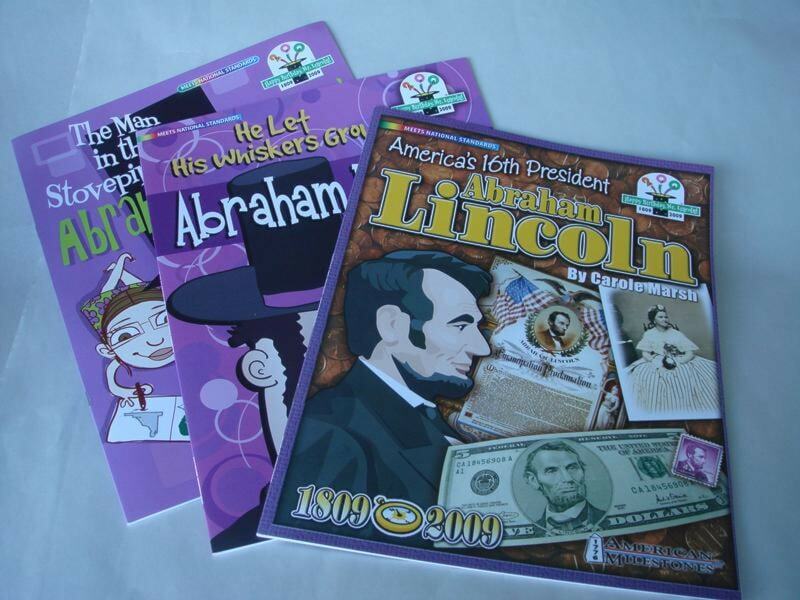 Abraham Lincoln Storybook by Carole Marsh. 32 Pages. Abe Lincoln Coloring Book by Carole Marsh.